The second edition of India Gaming Show (IGS) 2019 – International gaming, animation and infotainment event for India – organized by the Confederation of Indian Industry (CII) and supported by the Ministry of Electronics & Information Technology, Government of India, is scheduled from 3 to 5 February, 2019 at Pragati Maidan, New Delhi. IGS 2019 is aimed at creating a neutral platform for all stakeholders of this sector from India and overseas to take the Indian Gaming Industry to the next level and explore business opportunities in this sector in India. With millions dabbling with digital gaming as leisure activities as well as the rise of E-Sports in the recent years, digital gaming is definitely changing the outlook of the global society. 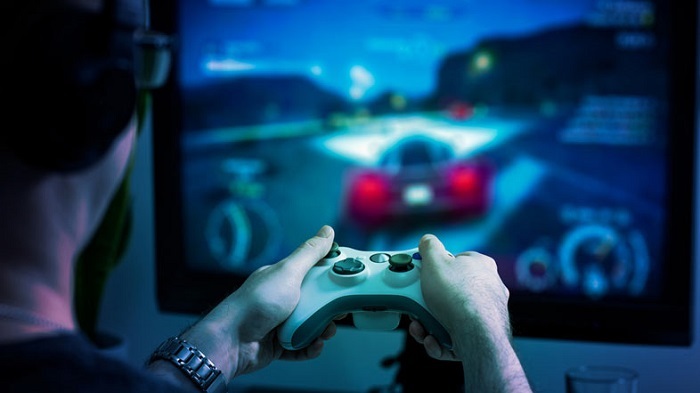 Gaming Industry in India – With the more than 65 per cent of its population clocking between the ages of 25 to 35, India has the world’s largest youth population. The recent years have seen a precedent rise in Internet connectivity and usage, thereby turning the country into the second largest Internet user globally. In fact, these are the two crucial factors for any video game to take off, and thus we can say that India has arrived at the right time. To add on these factors, India also has a large skill pool to offer in the fields of IT, Game Testing, Arts and Designing as well as the presence of several major game developers already operating in India. India Gaming Show (IGS) – Keeping up with the times as well as catering to the needs of a young, vibrant country, the Confederation of Indian Industry (CII) has taken note of this sector and introduced the first India Gaming Show (IGS) in February, 2017 which was a great success with over 70 exhibitors from India and overseas. Japan participated as Partner Country and Korea as Guest Country at the maiden event. As a result of this event, CII has taken a new initiative to bring together all stakeholders under a common platform for the Digital Gaming Industry in India, and have created the Indian Digital Gaming Society (IDGS), to cater to the needs of this sector and act as a conduit between the Industry and Government to support and sustain this industry and make it an organized sector of the industry in India. The second edition of this event, IGS 2019, a one-of-its-kind in India, will cover the A-Z of the digital gaming industry as well as the new emerging trends such as E-Sports, cosplay and VR. Government of India – Supported by the Ministry of Electronics & Information Technology, Government of India, IGS 2019 will act as a platform and will host a large number of professionals and businessmen from around the globe to explore the potential of the fast growing Indian Gaming Sector. The Indian gaming community also gets an excellent opportunity to experience the gaming cultures of different attending countries. Japan is repeating its participation with a Country Pavilion and special focus on the animation sector. A group of around 20 companies will be participating at the Japan Pavilion at IGS 2019, which is supported by the Government of Japan, and Gaming Association of Japan, CESA. Conference – In addition to the exhibition, an International Conference on Gaming is also organized by IDGS and CII with experts from India and overseas sharing their vision for India to become a hub for game developers and expand the business potential that India has in this sector. A B2B meeting activity is also planned to facilitate business meetings during IGS 2019. E-Sports – Are on their way to becoming the sport of the 21st century and are awaking incredible enthusiasm among players and fans. In order to continuously engage the E-sports community and enthusiasts of E-Sports, India’s largest E-Sports Championship – ESL India Premiership is also being planned during IGS 2019. Partners – While the event has attracted participation of key players from the Gaming Sector, a number of leading brands have joined hands with IGS and will play a crucial role in making this second edition of IGS a success. Key brands supporting and participating this time includes PlayStation, Gigabyte, Amazon, Samsung Monitors, Playizzon, HyperX, HP, Intel, Nodwin Gaming, ESL, Western Digital and many more from the start ups and developing community. Encompassing all the segments of Gaming sector the event will have Video games, Consoles, Mobile Gaming, VR experience, Cosplay, for Indian Gamers and Business, networking & partnering Opportunities for the developer community. India Gaming Show definitely will be an event for the gamers to experience new gaming while for new gamers it will showcase the varities in this new medium. The event organised by CII is positioned to expand the Indian gaming industry by leaps and bounds. With crucial inputs from international video game leaders, Indian game developers also stand to benefit exponentially. With CII directing the Indian digital gaming industry towards a brighter tomorrow, the India Gaming Show is sure to take this sector in India to the next level in the coming years.